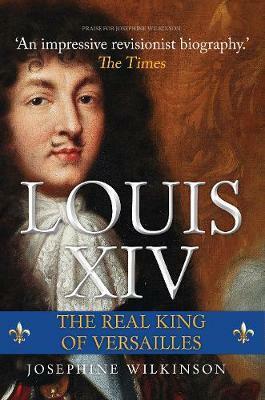 Louis XIV's story has all the ingredients of a Dumas classic: legendary beginnings, beguiling women, court intrigue, a mysterious prisoner in an iron mask, lavish court entertainments, the scandal of a mistress who was immersed in the dark arts, and a central character who is handsome and romantic, but with a frighteningly dark side to his character. Louis believed himself to be semidivine. His self-identification as the Sun King, which was reflected in iconography of the sun god, Apollo, influenced every aspect of Louis's life: his political philosophy, his wars, and his relationships with courtiers and subjects. As a military strategist, Louis's capacity was debatable, but he was an astute politician who led his country to the heights of sophistication and power - and then had the misfortune to live long enough to see it all crumble away. As the sun began to set upon this most glorious of reigns, it brought a gathering darkness filled with the anguish of dead heirs, threatened borders, and a populace that was dangerously dependent upon - but greatly distanced from - its king. Josephine Wilkinson is an author and historian. She received a First from the University of Newcastle where she also read for her PhD. She has received British Academy research funding and has been scholar-in-residence at St Deiniol's Library, Britain's only residential library founded by the great Victorian statesman, William Gladstone She now lives in York, Richard III's favourite city. She is the author of The Princes in the Tower, Anne Boleyn, Mary Boleyn, and Richard III (all published by Amberely), and Katherine Howard (John Murray).